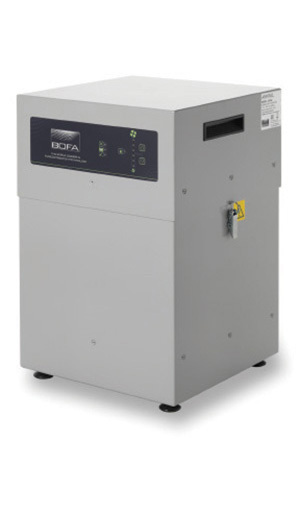 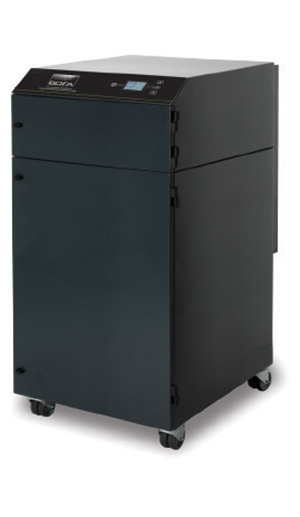 BOFA fume extractors and exhaust systems for Epilog Laser engravers, cutters, and marking machines. 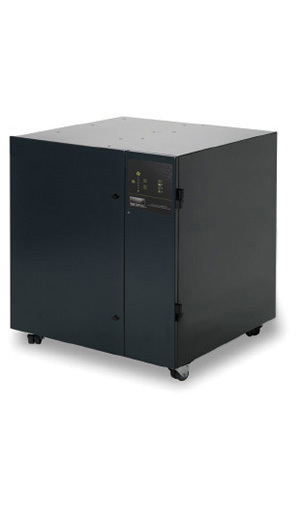 BOFA's range of ADVANTAGE laser fume extraction and filtration systems. 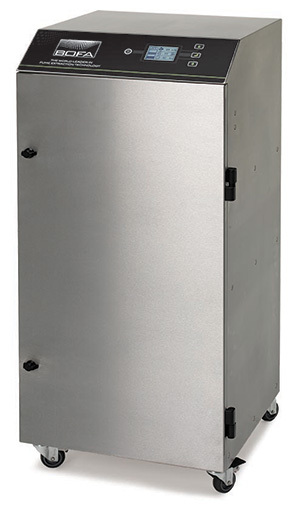 High airflow entry level laser fume extractor incorporating DeepPleat pre filter technology and large combined filter. 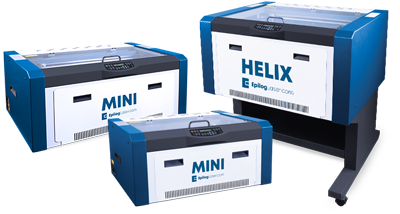 The Laser Companion range has been designed so that a number of manufacturer's laser engravers can sit on top of the extractor, effectively doubling it up as a work station. 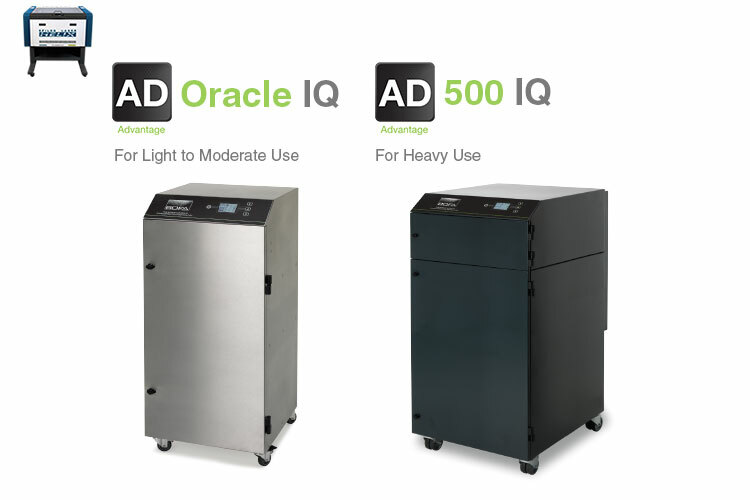 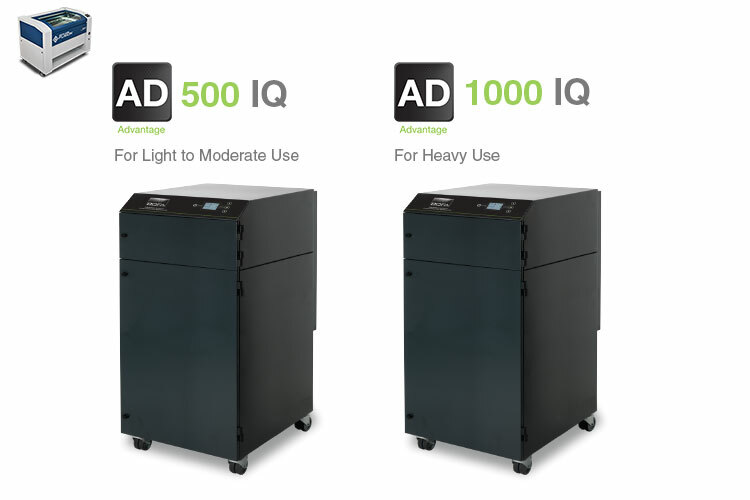 The most advanced fume extraction solution for high performance laser systems. 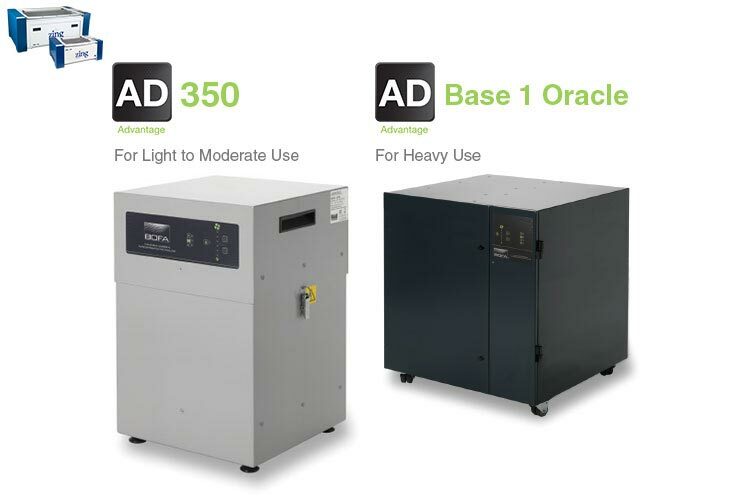 BOFA's AD 500 iQ laser fume extraction system is a mid to high end laser fume extraction system, which combines extremely large filter capacity with high airflows and pressure. BOFA's AD 1000 iQ laser fume extraction system is a mid to high end laser fume extraction system, which makes it ideal for heavy duty applications that generate large amounts of particulate and gaseous organic compounds. BOFA's AD 1500 iQ laser fume extraction system is a high end laser fume extraction system, which combines extremely large filter capacity with high airflows and pressure.